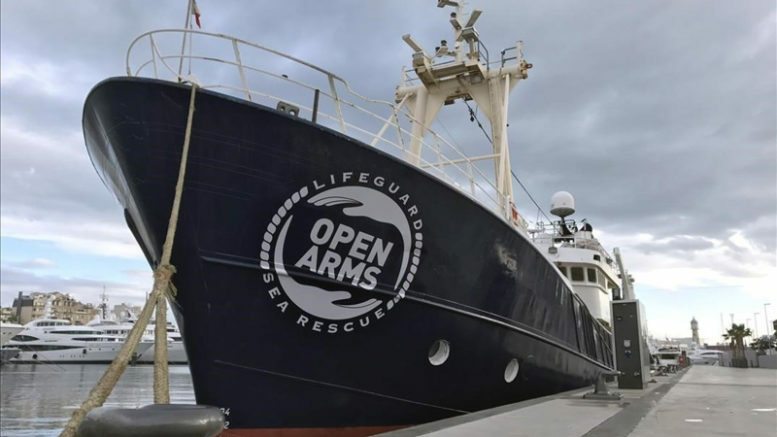 The Abraham Lincoln Brigades Archives (ALBA), in conjunction with the Puffin Foundation, has announced that this year it will honor Barcelona-based refugee-rescue organization Proactiva Open Arms with its annual ALBA/Puffin Award for Human Rights Activism, to be presented along with a US$100,000 prize in an awards ceremony this Sunday, 16th April, in New York. Including one of the largest monetary awards for human rights in the world, the annual ALBA/Puffin human rights award is an initiative launched in 2010 to sustain the legacy of the nearly 3,000 Americans who volunteered in the Spanish Civil War (1936-1939) to fight fascism under the banner of the Abraham Lincoln Brigade. This year’s award is being presented to Proactiva Open Arms in support of the organization’s ongoing refugee-rescue efforts over the past two years, which have resulted in the rescue of more than 17,000 refugees and migrants stranded in the Mediterranean Sea in an effort to reach Europe after fleeing the violence of war-torn countries in the Middle East and Africa. In a statement released in New York, the award sponsors said the cause of refugee rescue is important both to Spanish history and to memory of the Abraham Lincoln Brigade, noting that the Spanish Civil War led to one of the first large-scale refugee disasters of the twentieth century.